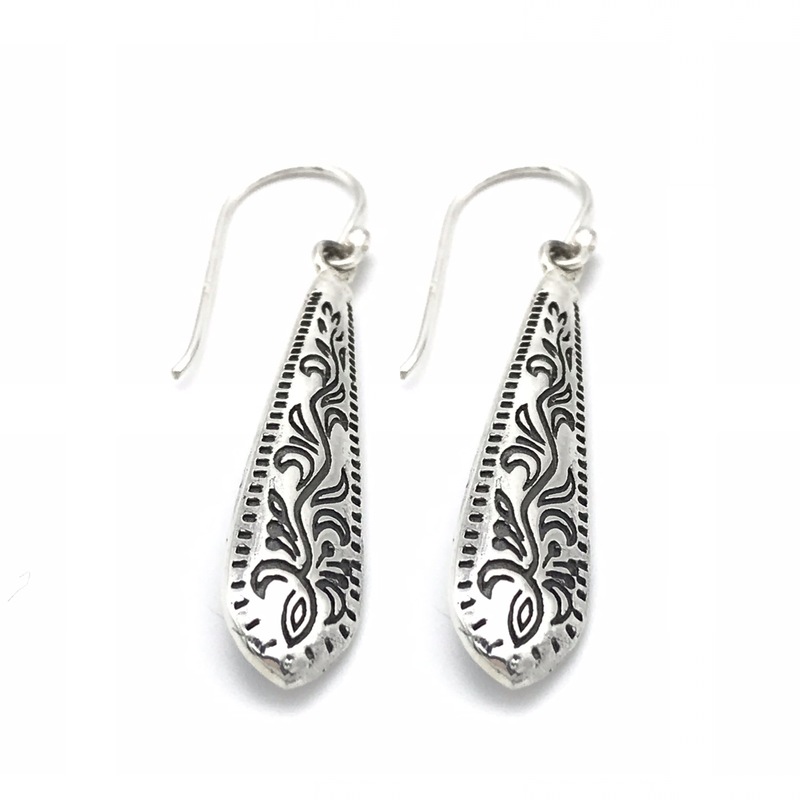 Etched Spears, featuring sturdy, medium long spear shaped earrings that have been beautifully carved. 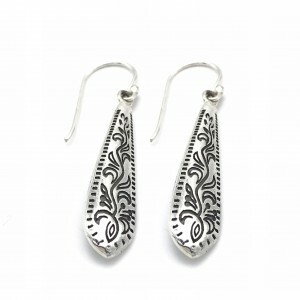 The etchings have been oxidized, a process used to darken the sterling silver to accentuate detail. 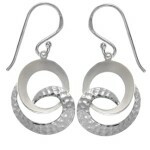 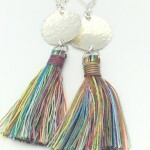 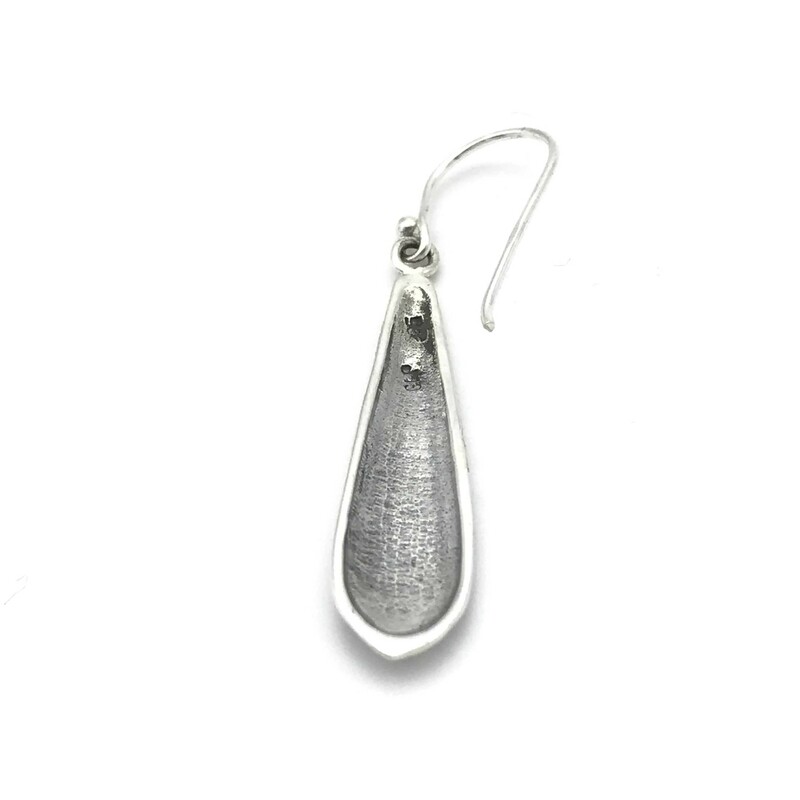 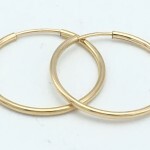 The spears dangle freely on sterling silver ear hooks (rubber backs provided so the earrings stay put). Be the first to review “Etched Spears” Click here to cancel reply.